I spend entirely too much time on Reddit. It’s the first thing I check in the morning and the last night I check at night. And, frustratingly, most of the Reddit apps for iOS are just badly designed. 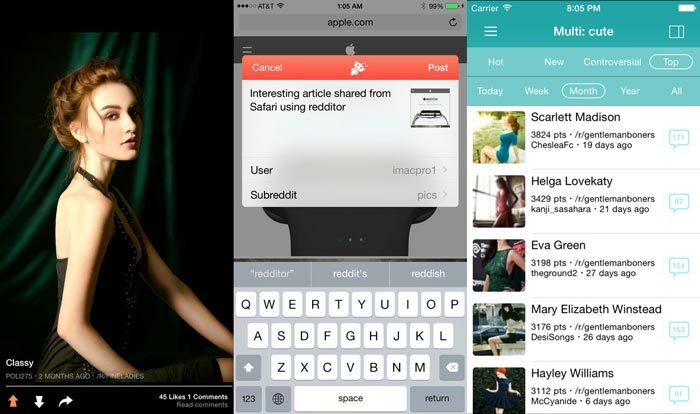 Here’s our take on the top Reddit apps for iOS. A good Reddit client should make it easy to quickly scroll through content, viewing a wide variety of media while upvoting and downvoting easily. It’s a complex development task, but Narwhal handles it well. I love that you can swipe on posts to upvote and downvote them, and the user interface is well-designed and easy to understand. The app also includes a lot of features borrowed from Reddit Enhancement Suite, like hiding posts, which is invaluable. And a “hide read” contextual button that pops up periodically makes it easy to “archive” viewed post and get them out of your feed. A media view allows you to see photos without opening posts, which is great for anyone that enjoys following a lot of media-heavy subreddits. Narwhal isn’t perfect, though. Posting isn’t fun, and you’ll need to type out the subreddit’s name perfectly to post to it. Very large images (greater than 10,000px) can cause the app to instantly crash in media view, and if you’ve got one of those in your feed, the app is basically unusable until the post disappears. GIFs also don’t autoplay, meaning you have to view the post to get the GIF to go. This might be a plus for some users, but I found it to be a chore. The ad supported version includes annoying, clickbait ads permanently pinned to the bottom of your screen, as well as infrequent but intrusive, full-screen pop-up ads that probably violate the App Store’s guidelines. But overall, it’s a highly functional app for Reddit that’s a pleasure to use, and it’s the Reddit app for iOS that I use the most. 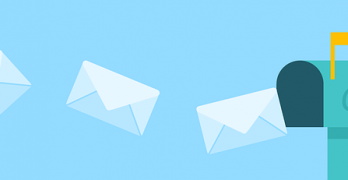 Beam is one of the better Reddit clients tested for this post, but as a free client, it’s not all that much to write home about. The best features are hidden behind paid expansion packs. There’s the $1.99 Display Pack, which includes must-have features like media view, night mode and automatically playing GIFS. The $1.99 Identity Pack enables private browsing, multiple accounts, PIN-code access and more. There’s also a forthcoming Discovery Pack, which helps content discovery, but there’s no word on what sort of features that will contain. 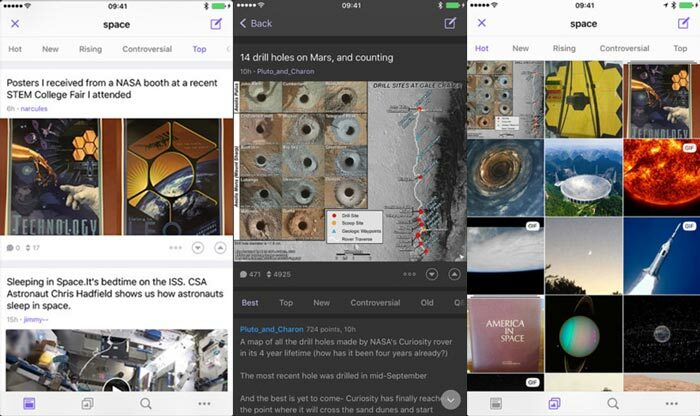 With the additional content packs, Beam is one of the best Reddit apps for iOS. Without those content packs, it’s a well-designed but ultimately less-exciting app. 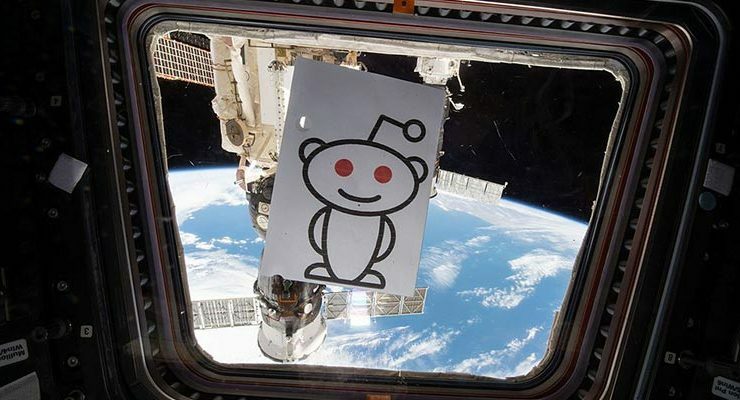 Redditor is a straight-forward and easy-to-use Reddit client for those most interested in browsing Reddit. It load content quickly and scrolls responsively, with a built-in media view, auto-playing GIFs, and multiple color schemes, including night mode. There’s some rare features as well: you can change the display font from the default Helvetica Neue to a wide variety of other options and use Readability to access web links from within the app. The app still needs a little work, however. 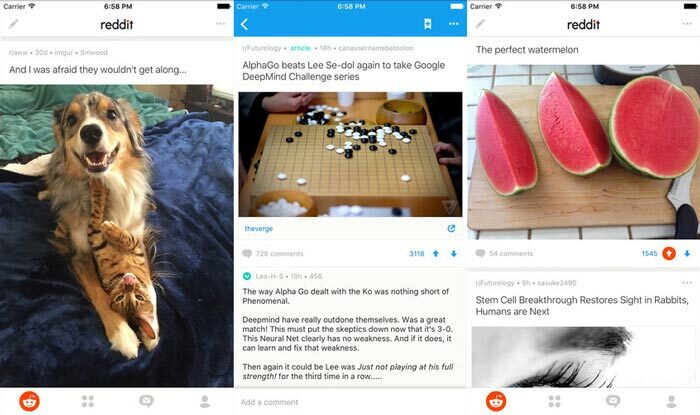 The app design has little room for content hierarchy, making it hard to visually separate posts from one another, or comments from post titles. The swipe-based navigational interface can be a little hard to navigate, and there are few clues to guide the user. For example, the first time you open a gallery of images, it’s hard to know how to dismiss them (swipe up or down). And when you’re viewing a media post, it’s not immediately obvious how to close it (swipe down). And adding the a comment to a post is non-intuitive. The reply button is buried in an “other options” menu can that only be access by swiping the post you want to reply to across nearly the full width of your device’s screen. If development continues, however, Redditor has the skeleton of an excellent Reddit app. The official Reddit app for iOS gets a lot of flack, and after using it for months, that’s not shocking. It’s broadly functional, but rife with problems. 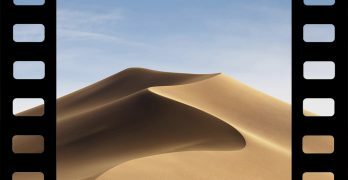 Its infinite scrolling feature frequently breaks, and it doesn’t include all the excellent features provided by third-party apps. You can’t save individual comments, which is frequently irritating, requiring you to upvote to save a comment for later. Scrolling is jerky and uneven, making the app feel unresponsive and slow. It offers autoplaying GIFs, but many GIFs just won’t play at all, and the much-vaunted multi-user options are clunky and buggy. The official Reddit app is serviceable and attractive, but there are better options available. 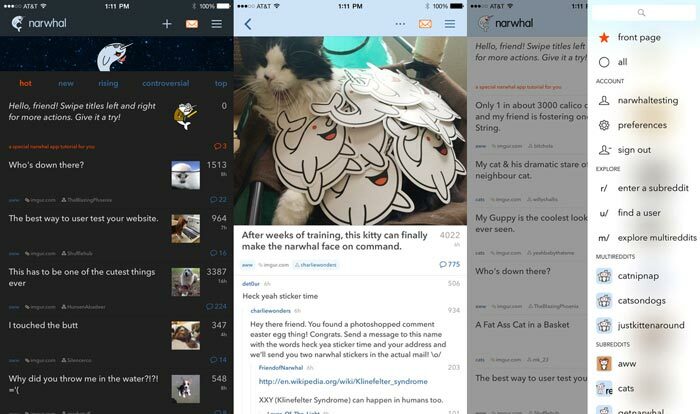 As of right now, Narwhal is the best of the free Reddit apps for iOS, but it still doesn’t include everything we’d expect from a killer Reddit app. If you’re willing to drop $2 for the Display Pack, Beam is an awesome paid option.